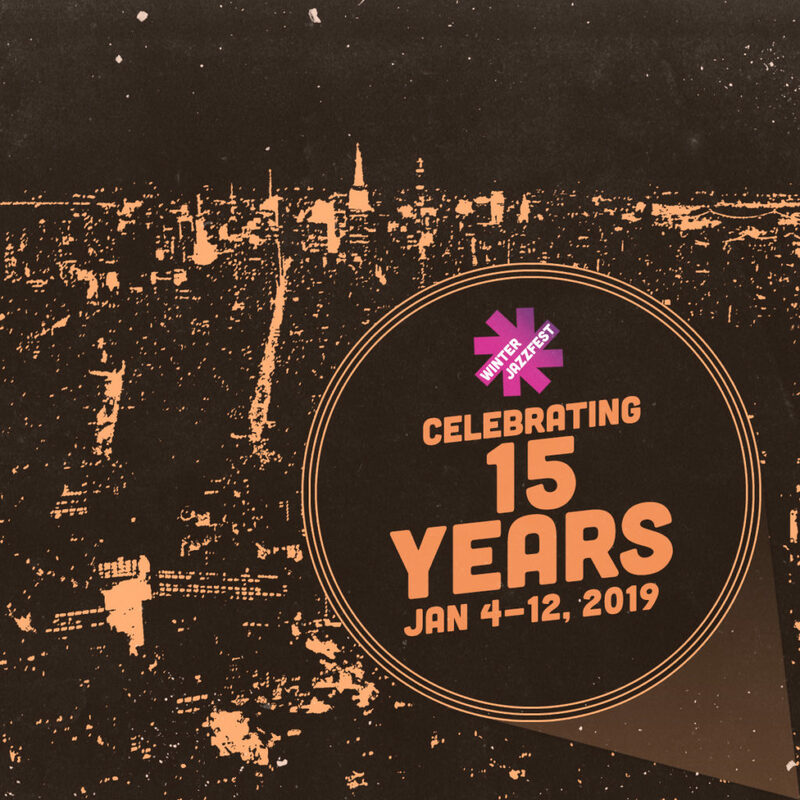 The 15th Annual Winter Jazzfest | Jan. 4th-12th, 2019 - TheUrbanMusicScene.com | Concerts & Festivals! We are thrilled to announce the initial list of artists featured at the 15th annual NYC Winter Jazzfest! Please mark your calendars for January 4-12, 2019. In our landmark 15th year we present an unprecedented NINE CONSECUTIVE NIGHTS offering standalone concerts, a “Half Marathon” showcase on January 5th to coincide with the annual APAP conference in seven venues, the returning PRS Foundation / BBC Music Introducing British jazz showcase hosted by BBC DJ and tastemaker Gilles Peterson featuring rising UK talent Ezra Collective, Emma-Jean Thackray, Yazmin Lacey and Yussef Dayes (of Yussef Kamaal) and five other single night events leading up to our epic two-night marathon Friday, January 11 and Saturday, January 12 in 11 venues around Greenwich Village to close the 2019 festival. We welcome visionary singer-songwriter, bassist, producer and genre-defying artist Meshell Ndegeocello as our Artist-In-Residence who will appear as a leader and collaborator in various projects including an opening night event “Meshell Ndegeocello Plays The Music of Prince.” Ndegeocello will also participate in at least one Winter Jazzfest Talks, originally launched in 2017, this year helmed by award-winning journalist Nate Chinen of WBGO-FM, our radio sponsor. NYC Winter Jazzfest again joins festivals across the globe in striving for gender parity on our festival stages. We are proud to be part of UK-based PRS Foundation’s international Keychange program, through which we’ve pledged to achieve a gender balance on our stages. We’ll be hosting a Keychange panel discussion and event as part of our Winter Jazzfest Talks series. We also notably celebrate the 50th Anniversary of ECM Records with a special listening session with founder Manfred Eicher sharing the stage with performances by ECM artists David Virelles and Larry Grenadier. ECM will once again host a showcase stage featuring the new trio of Michael Formanek/Mary Halvorson/Tim Berne, Shai Maestro Trio, Ralph Alessi Quintet feat. Ravi Coltrane, Vijay Iyer/Craig Taborn, Mathias Eick, and the Billy Hart Quartet. NYC Winter Jazzfest is a destination for avid jazz fans, industry professionals, and new listeners to come together and experience the exciting and vibrant contemporary jazz scene. Since the inaugural year in 2005, the festival has grown organically, with more artists performing and a continually increasing audience—proving the true vitality and urgency of this music. Winter Jazzfest’s programming is inclusive of a broad spectrum of musical styles under the banner of jazz. Inherent to the tradition of jazz as protest music, Winter Jazzfest strives to support and highlight artists who create music with relevant messages of social justice and positive change. 2 Responses to "The 15th Annual Winter Jazzfest | Jan. 4th-12th, 2019"
I WANT TO GET TWO TICKETS FOR THE JD Allen encounters David Murray show at Winter jazzfest. How????.??? ?